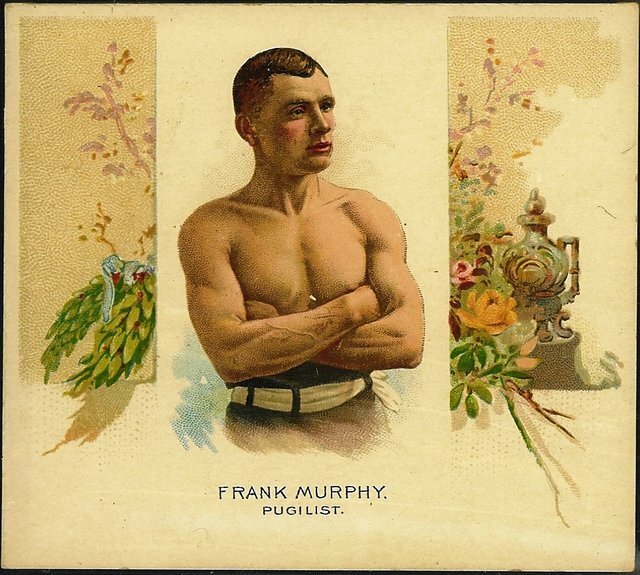 N43 Frank Murphy. Acting on the old adage that more of a good thing is better, Allen & Ginter re-used the images of the N29 set to create the set that Burdick catalogued as N43. The set features the fronts of the N29 cards within oversized cards that depict colorful boxing and decorative paraphernalia alongside. These cards are large, even bigger than modern cards, and were used in 20-packs of cigarettes, as stated on the card reverses. They are in very high demand.